Curious about the local schools in and around the Route 1 corridor? Then check out Route One Fun’s Spotlight on Schools series, where local parents share their thoughts and insight on 9 (and counting!) local schools (including preschool). In this latest Spotlight, we shine some light on Silver Oaks Cooperative School, a new cooperative elementary school in Adelphi, Maryland. 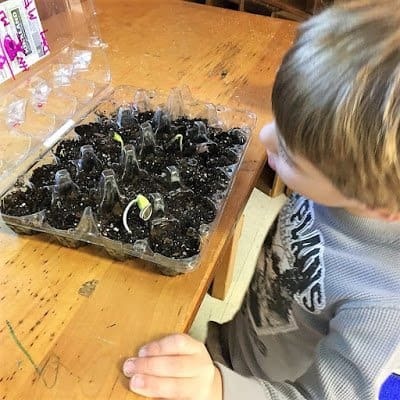 Dana Tompkins, a local parent whose child attends kindergarten at Silver Oaks Cooperative School, shares her thoughts and the inside scoop on this local, private elementary school in Prince George’s County, Maryland. Silver Oaks, currently in its first year, serves grades K-3 and is growing a grade each year. 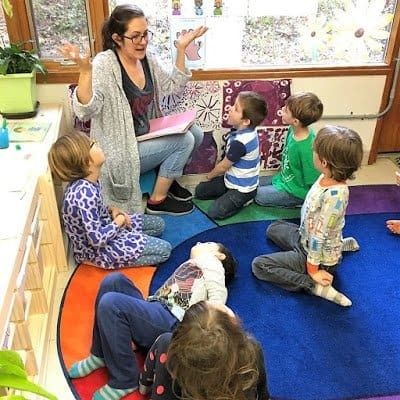 I love that the school has small class sizes and takes from the best parts of well-known education models such as Montessori, Emilia-Reggio, Waldorf, and the Finish model. A regular school day includes strong academics, extensive outdoor time, individual focus, social-emotional learning, arts integration, and Spanish language. And thanks to the cooperative model, tuition is very reasonable. Basically you can be as involved (or not) as you want! The school has three co-oping tuition structures that allow for full co-op, partial co-op, or non co-op options. Our family choose the full co-op option, which means that once every two weeks I spend a day helping in the classroom, which I enjoy. Parents are also asked to attend membership meetings, serve on a committee, and participate in other school activities. It’s wonderful to know what our son is learning first-hand and to be part of a tight-knit community of other families. Most important for us though is that there’s no big bureaucracy to get lost in or to wait years for things to change—parents have a direct line to the school’s director and are encouraged to speak up, if there’s a concern. Another parent described the teachers at Silver Oaks as “gifted,” and I couldn’t agree more. I love seeing the creative lessons that the teachers come up with—Geography Jeopardy, Hula Hoop phonics, the “someday” playground project, and “composting” worms in the classroom. As a parent, it’s wonderful to see the kids excited to learn different things in new, creative ways. I also love that the school takes great care to find the best learning tools for the kids. Teachers use Singapore Math, Writer’s Workshop, and Handwriting without Tears to supplement their curriculum. 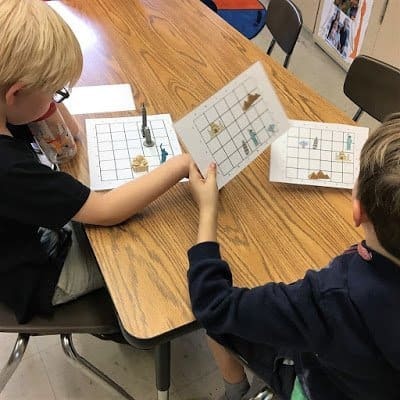 With smaller class sizes, and flexible grouping, the children are given the individualized attention they need based on their academic level and ability, not their grade level. It’s amazing to see my kindergartner already learning to read and write in such a short period of time! What Do You Like Most About Silver Oaks Cooperative School? There’s so much to like that I hardly know where to start. What my husband and I were initially attracted to is, “The Great Outdoors” as one of the school’s guiding principles. 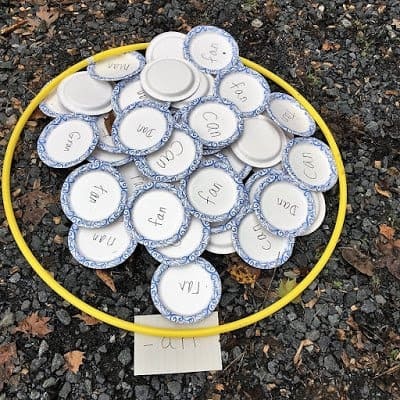 Surrounded by beautiful wooded land, the school has at least two thirty minute recesses called, “outdoor work” and sometimes lessons are even taught outdoors! 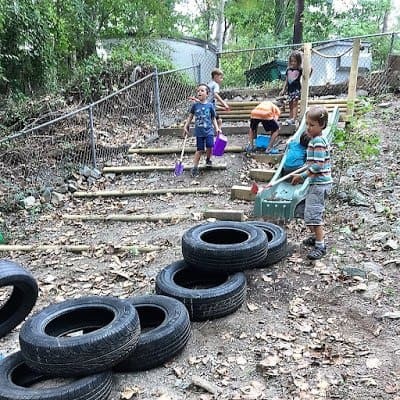 The kids have climbing structures, wheel barrows, gardening tools, tires, ropes, and more. It’s amazing to see what they come up with! Rain jackets, boots, and extra clothes are a must, too, as the kids go out rain, shine, or mud. I love that the Silver Oaks teachers understand that children need playtime in order to learn and that outdoor time is never taken away as a punishment. There are still spaces available for this academic school year and applications are currently being accepted for next year’s classes. Contact the school to learn more. Open houses: Tuesday, December 4th at 9:30am; Saturday, January 12th at 10am; and Tuesday, January 15th at 9:30am. As part of the Spotlight on Schools series, I ask each parent/author to make him/her/themselves directly available to readers who may have some questions about the school. Dana Tompkins graciously agreed to do so and can be reached at: dana_tompkins@hotmail.com. Interested in introducing your business to Route 1 readers? Contact me about advertising on Route One Fun! AdelphiElementary SchoolSchoolSilver Oaks Cooperative SchoolSpotlight on Schools! Spotlight on Schools: Mt. Rainier Elementary School! Spotlight on Schools: Dora Kennedy French Immersion School!